I have been following the SwimSmooth blog posts and shared information for a while now. 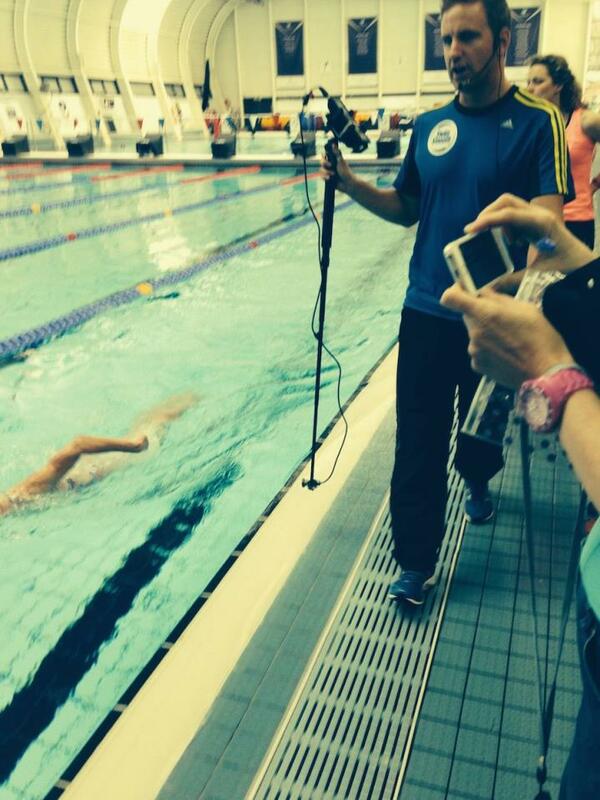 I have also viewed a lot of video material and did read the SwimSmooth book. 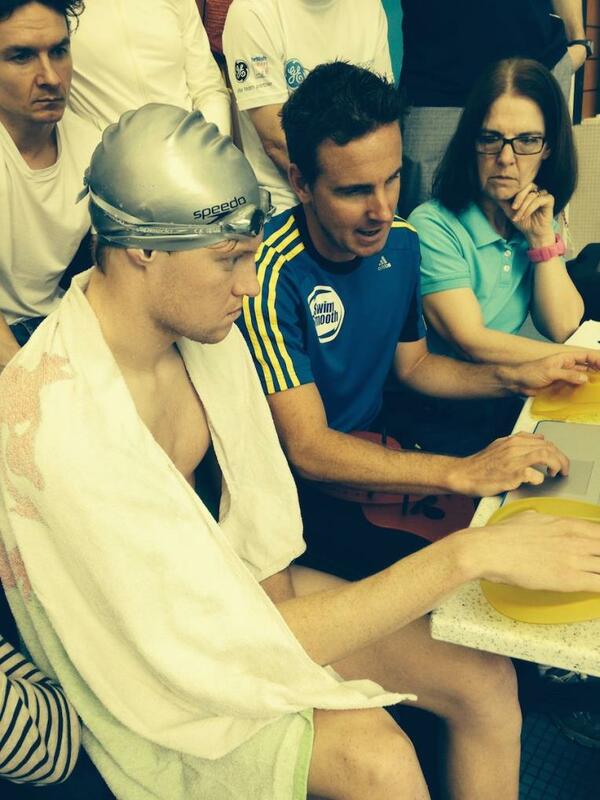 In average once a year, the SwimSmooth team is organizing a 3-day Coaches Education Course where they provide the selected coaches with a big amount of information in their video analysis techniques and corrective actions to improve the swimming efficiency. 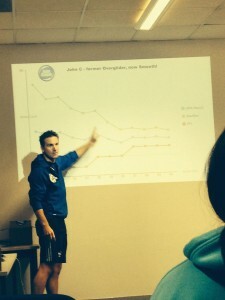 These courses are very popular and only 14 coaches were selected to attend the course in Loughborough, UK form 14 to 16 March 2014. So, I was happy and proud that I was one of the happy few that was selected. It was a very international selection with coaches traveling from Iceland, Spain, Ireland, USA and UK to attend this. 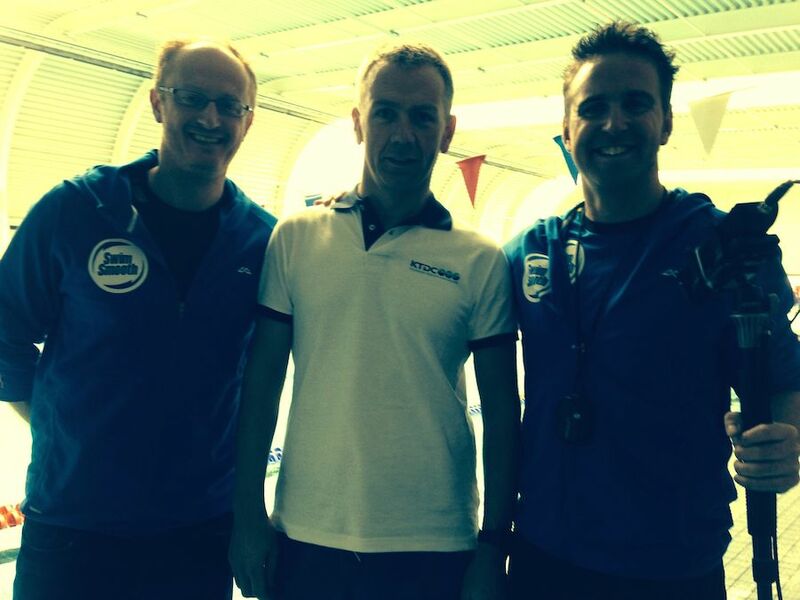 The course was meant to further develop my coaching skills and was not meant to improve my own swimming but on the first day, Paul Newsome immediately showed his capabilities and the efficiency of his video analysis by looking at all the coaches in one go. He immediately showed my cross over with my right arm as the biggest area for improvement and provided the drills to work on that. The biggest difference between the SwimSmooth approach and others is that SwimSmooth doesn't believe that there is a perfect stroke that fits all of us. They are looking for the best stroke that is fitting the individual. We of course covered the different SwimTypes that they have developed to get a starting point for improving every individual swimmer. During day one of the course, we had the ability to follow Paul on different one-to-one sessions he had with swimmers from different level ranging from ITU triathletes to a new mom restarting her swim after a long time off. It was very interesting to follow Paul in this process and he did show again his skills as a coach and his efficiency in identifying areas for improvement. Day2 of the course was starting with a presentation given by Adam on the business side of SwimSmooth. He shared a lot of ideas that can be used in my personal business as well. The presentation was a real eye opener and a lot of appreciation goes out to the SwimSmooth team to show this part of the story as well. The remainder of the day, we talked about CSS training, open water skills, how to organize squad sessions and some more one-to-one sessions. Day3 was rather special as we attended a SwimSmooth Clinic where 14 athletes had signed up to get a full stroke analysis and corrective action for improvement. I was initially a little sceptical on the story that the different swim types were linked to a persons personality but I had to admit that on the 14 athletes initially presenting themselves, I could already define the swim type on 10 of them without seeing them in the water. After a day with video recording, analysis and performing some drills, you could clearly see that the swimmers were satisfied with the day as they all got the information back home what to do to improve. This education course was a remarkable experience and the energy and passion that the SwimSmooth team is putting into all this, is a motivation, and it certainly provided a lot of ideas to further improve my coaching skills.